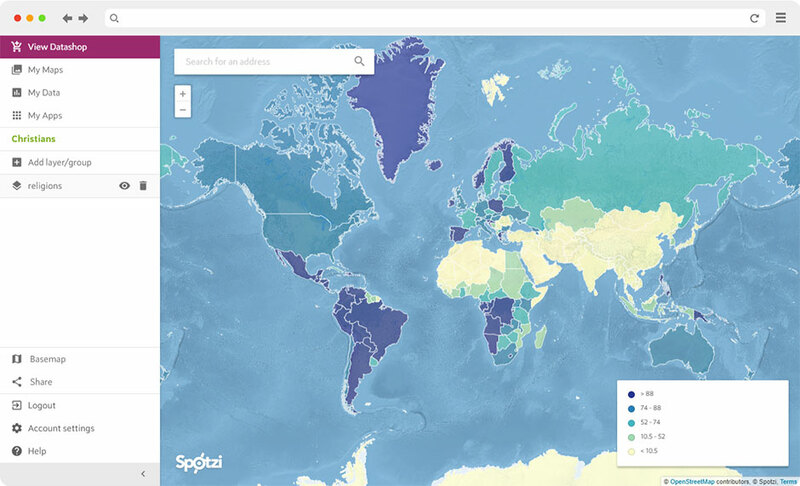 The Spotzi MapBuilder brings data to life. We offer you the ability to map your location data from any source like an Excel spreadsheet or to merge our postal code boundaries with your own data. Location analytics has never been this easy! Spotzi offers a powerful location analytics tool that is available to everyone. We allow you to create beautiful and insightful maps of your location data without any hassle. Import a shapefile, create a map from an Excel with the Spotzi Geocoder or style your map with a wide variety of styling options… everything is possible! 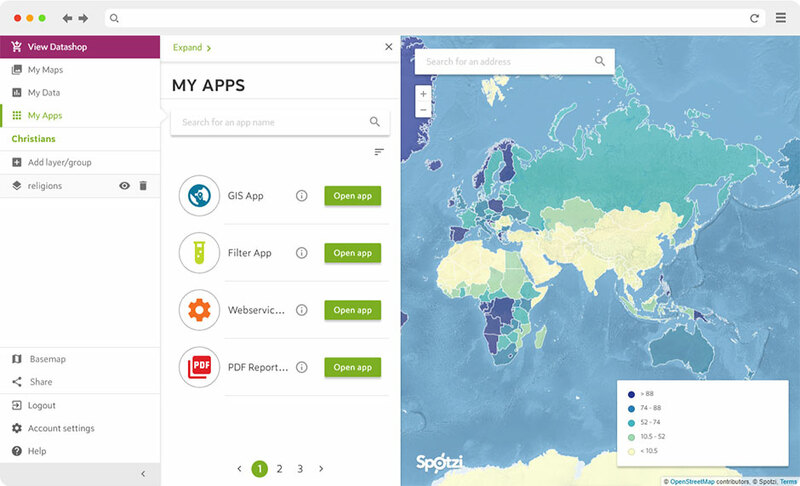 Spotzi offers a wide range of Map Apps to add extra functionality to your Mapbuilder account. Filter your data, print PDF reports or use our API toolkit. Spotzi has a wide range of high-end location datasets to enrich your business data. Our fully integrated DataShop allows you to directly import ready-to-use data directly into your MapBuilder. You can order every dataset individually or use our market-ready dashboards. 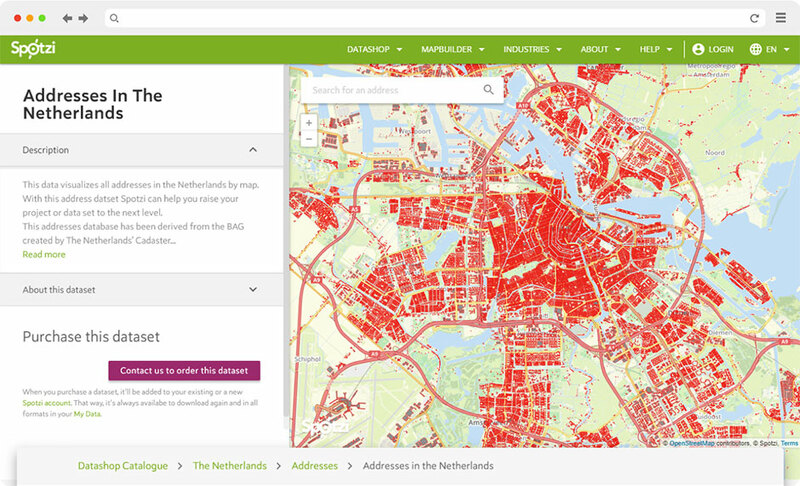 Spotzi offers a fully integrated location datashop with our Mapbuilder to enrich your business data. We have more than 500 data-sets of more than 33 countries available in different popular data formats like CSV, Shapefile, GeoJSON, KML and XML. We offer real-time data. This enables our users to be on top of the market at all times. For example, our real-time data is ideal for real estate developers tracking price changes in listings or insurance companies seeking information or alerts about weather events.